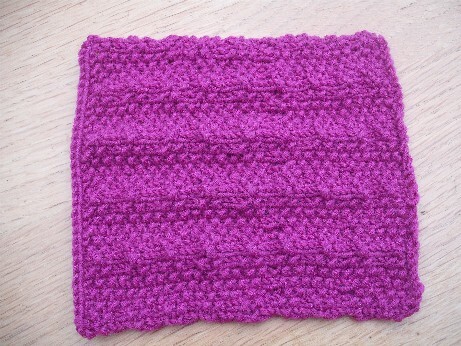 Very little crafting was done this week though I did manage to finish a square for Knit in Public Day on Saturday. Lydia from Spun yarn shop here in Huddersfield is having a Knit and Natter on Saturday to sew all of the squares together to make charity blankets – sadly I can’t go as I am teaching but Ellie is going and she has made some squares as well. 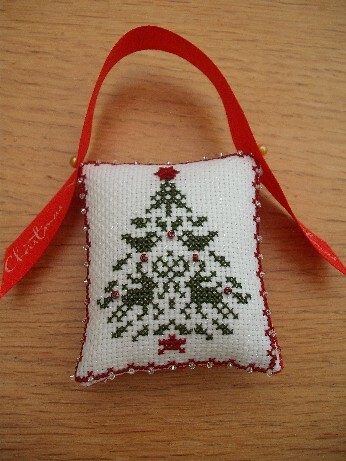 Here is mine – the pattern is Moss Stich Diamonds from my Knitters’ Bible book in some left over Sublime yarn. 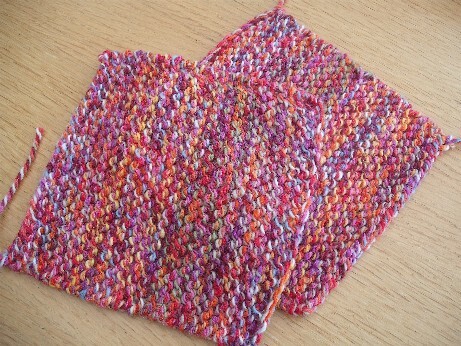 And these are Ellie’s in garter stitch made from Escape – a lovely variegated wool. 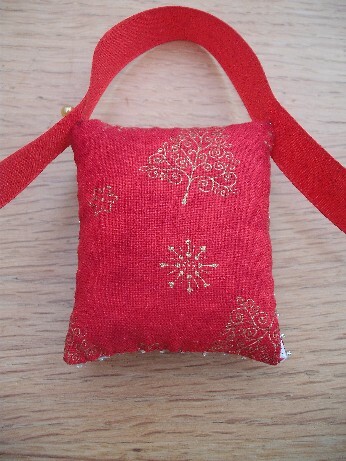 I have also finished another Xmas ornie – a little JBW tree from the Christmas Keepsakes 2 chart from Sew and So that I have backed with pretty red tree fabric, this one I have added seed beads to as well on the tree and all around the edging. 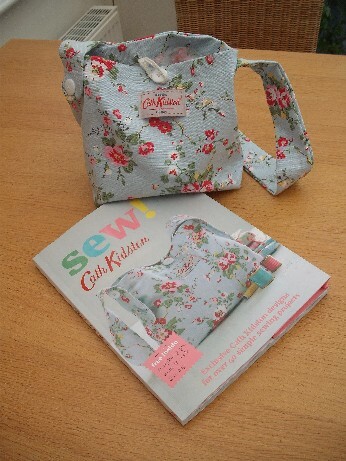 Ellie was busy while I was away – she has used her birthday pressies to make the gorgeous Cath Kidston bag that came with her Sew book and to make some other little bags as well for herself and friends. 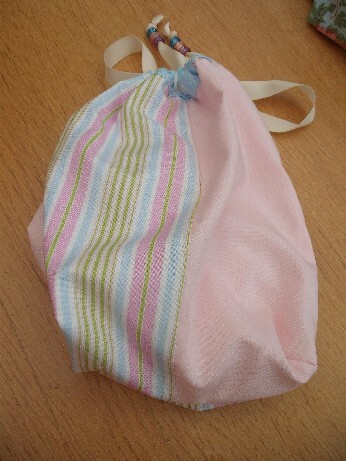 She says that she is having trouble the straight lines with her quilt but she has made a very good job of the bag – I love the button detail on the side. Now that I have the batting I am planning to finish off the throws for the sofa soon and am still cracking on with Xmas ornies. Am having a little problem with the pattern for the pink Sublime baby cardi so that is on hold till I can find a correction for the pattern as the instructions for the left front make no sense at all! 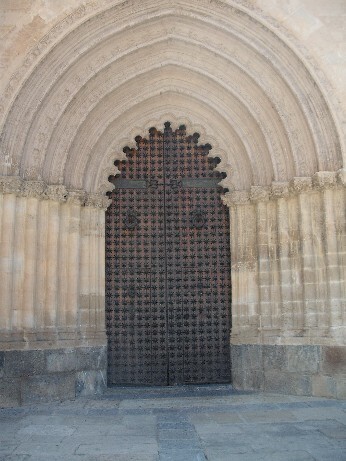 I will leave you with a few pics from Spain, the cactuses that I took pics of the last time I went have flowered and here is a lovely door in Oriheula at the cathedral – I could have saved this for the ‘architectural detail’ pic for this month’s scavenger hunt but have many lovely other Oriheula pics to choose from. 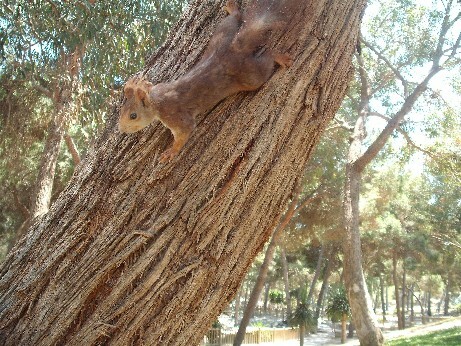 We went back to the park in Guardamar where we saw some cute little red squirrels and this time I took some bread for them. 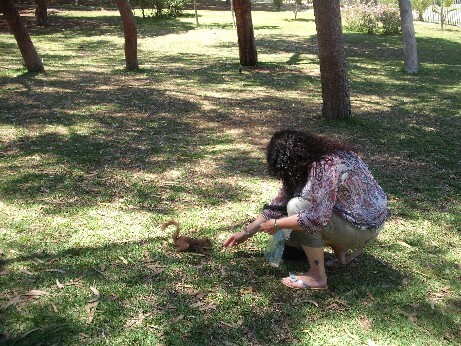 They were very tame, here is one letting me feed him with pieces from my hand and a close up of him later playing on a tree. 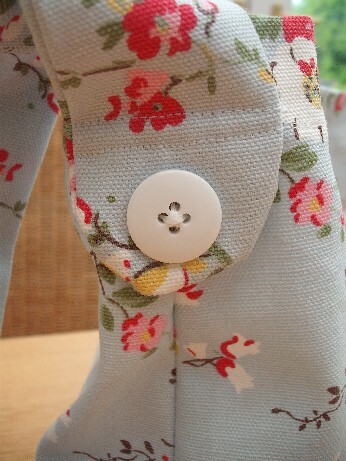 Hope that you have had a lovely week and are gearing up to Summer. 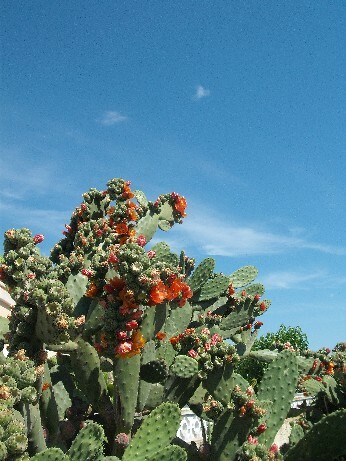 Thanks as always for visiting. Glad you had a good time! If you want me to look at your cardigan I will do next time I see you. 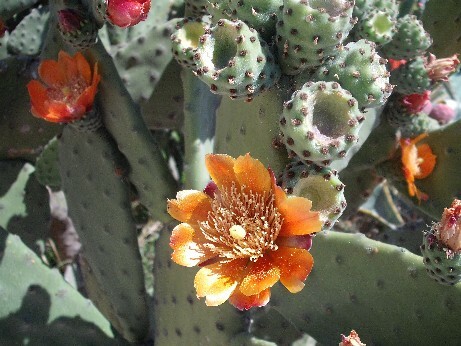 Love the picture of the cactus it is really striking and who can resist squiriels especially red ones!